A year ago (Tomfoolery), I watched as a female Wild Turkey was viewed with appreciation by two males. However, the two males were so obsessed by a concern for their rival’s attentions, that neither could attend to the female. It was odd; neither mated with her because each wished to block the other. 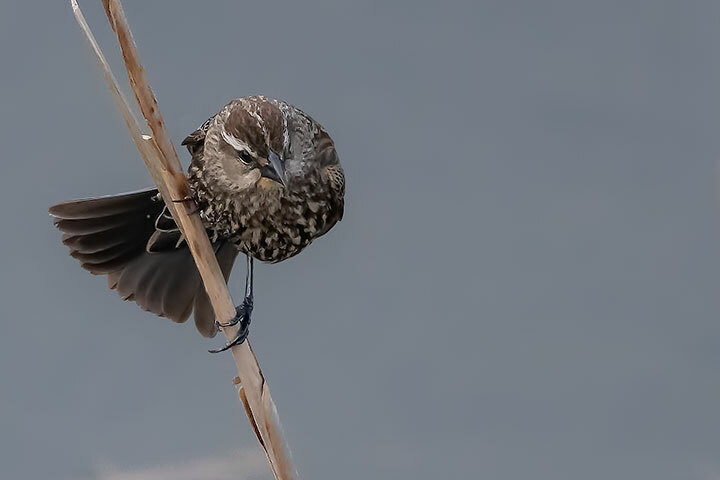 This situation seems to have been repeated with Red-winged Blackbirds. 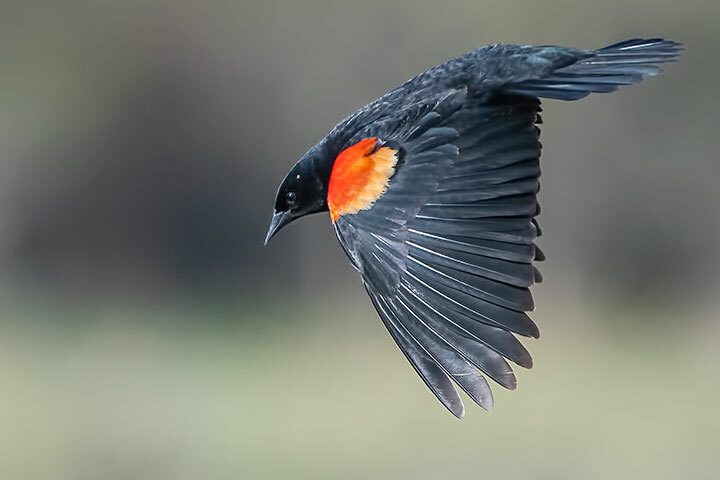 This fetching female Red-winged Blackbird was hanging out in the vicinity of a couple of males. 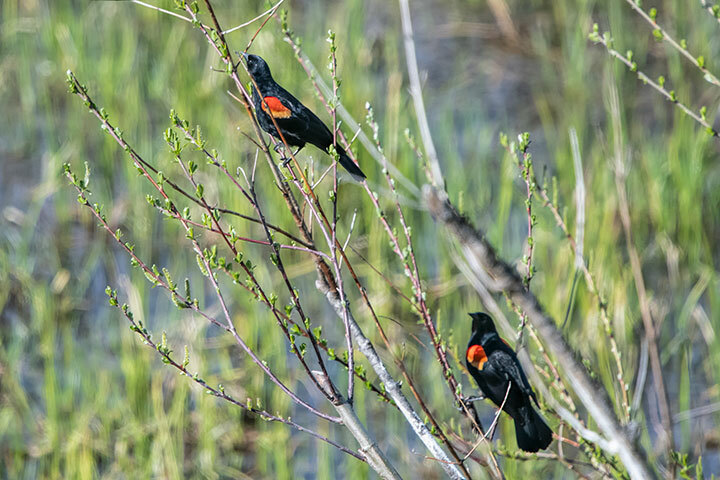 Here are the two male Red-winged Blackbirds. One male spent its time denouncing the other. It then flew after the (imagined) interloper. 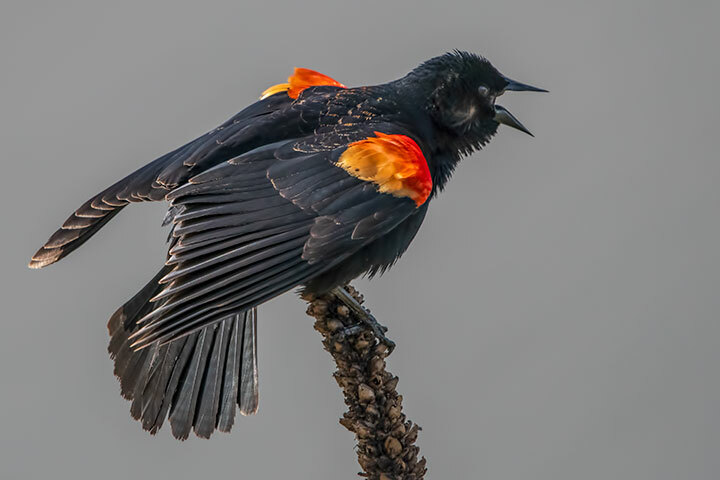 But, the conflict meant that neither male mated. Odd. Thanks…can almost hear their song!! !